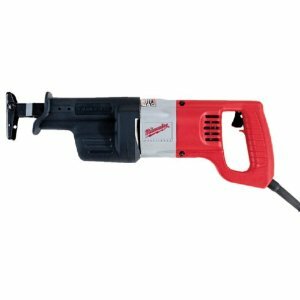 The Milwaukee Sawzall recip saws have 11-15 amps of power, operate at variable speeds and have a double bearing wobble plate to lower the vibrations cause by the action of the saw. 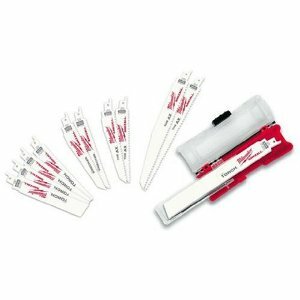 The quick-lok blade clamp makes it easier to insert or change the saw blade without specialized tools. The Sawzalls give you a ¾ to 1 ¼ inch stroke length, and its center pivot adjustable shoe and rubber boot make for better grip and safety while operating. 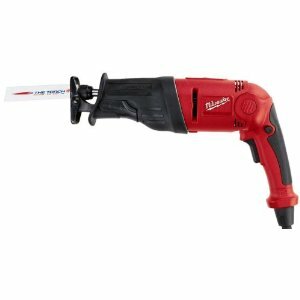 The 11 amp Milwaukee Reciprocating Saw is durable and super light and weighs just 7 lb. The heavier 15 amp model weighs in at 10lbs. It has the best power-to-weight ratio and is small but tough. It also gives you a number of very convenient features that make it doubly useful, and ensure that it does not get relegated to the dusty workbench for eternity. as some tools do. The rubber safety boot ensures a great grip and exceptional control and accuracy. With the adjustable shoe you get much better control, not to mention the fact that your blades last longer, in addition to allowing you to clamp the blades upside if needed. 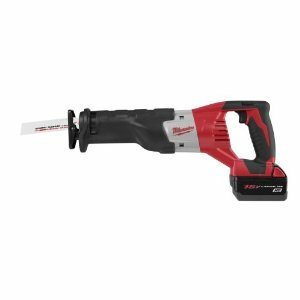 Double insulation and the wobble plate mechanism give you a really smooth handling and makes this Sawzall a great choice when you are looking at a job that needs a reciprocating saw that can go though pretty much any material. 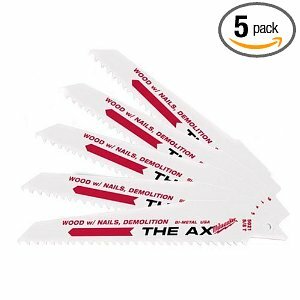 You can change the Sawzall blade according to the material and the job, and choose from a series of blades according to the icons on the packaging, which indicate what materials the blade is best-suited for. 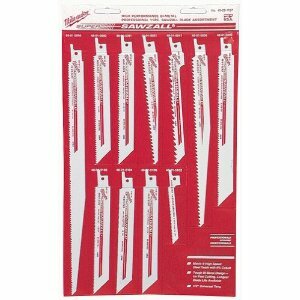 Blades of different shapes are also available for different types of cuts. 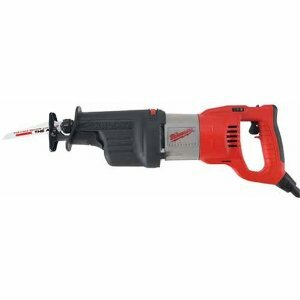 This Milwaukee Reciprocating Saw is a solid power tool, with a tough casing and good weight. It has almost perfect balance, and the variable speed control is placed in such a way that you cannot change speeds accidentally. 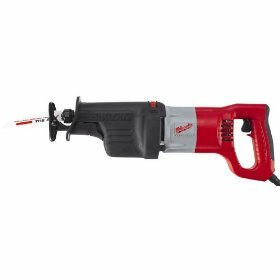 You can choose a cordless version, or one with a power cord, however, since it is used for heavier work, the power cord tends to wear out pretty soon. A quick-lok mechanism allows you to immediately snap another cord in its place, which is a great convenience. If you prefer not to have to fiddle with the cords, choose the cordless version for better ease of movement. With the Milwaukee Reciprocating Saw, you can adjust the amount of orbital action you need, and the blade collar holds the blade in place preventing slippage. It is easier on the arms because there are lower vibrations and the balance is great. 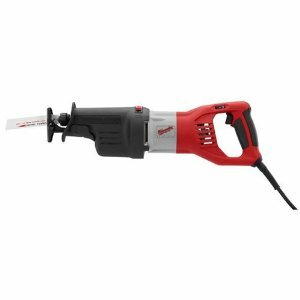 Overall, this tool is a great value for money, and compares favorably with other power tools in its class. It is easy to use and adjust, and a great addition to the collection of any professional or home owner. 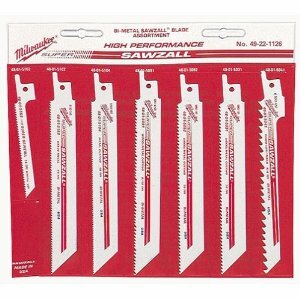 Return From Milwaukee Sawzall Page to Home - Finishcarpentryhelp.com.